Korean beauty may be all the rage right now, but there&apos;s another country that&apos;s equally serious about skincare: Hungary. With more than 100 mineral-rich thermal springs in Budapest alone, their spa culture dates back hundreds of years. Aestheticians are held in high regard, thanks to a rigorous three-year training, and facials are considered essential maintenance—not a luxury. No wonder Hungarians have a reputation for having truly amazing skin! 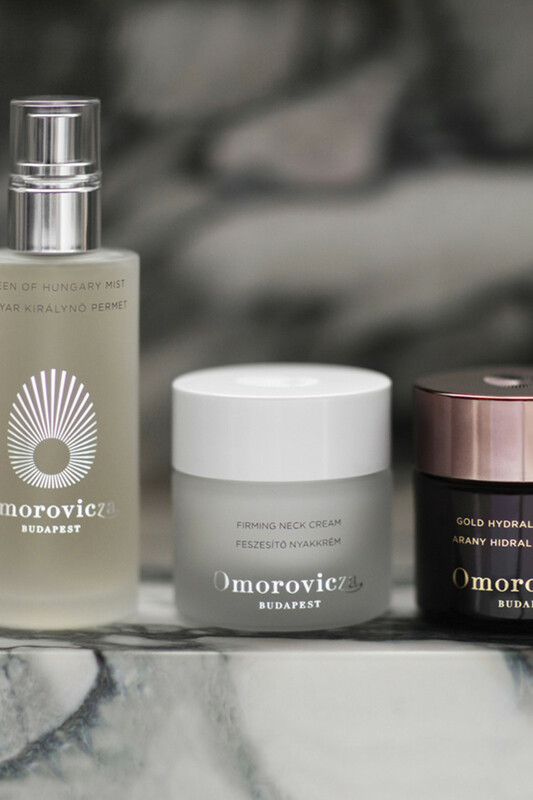 It is that reputation that has contributed to the cult success of Omorovicza. 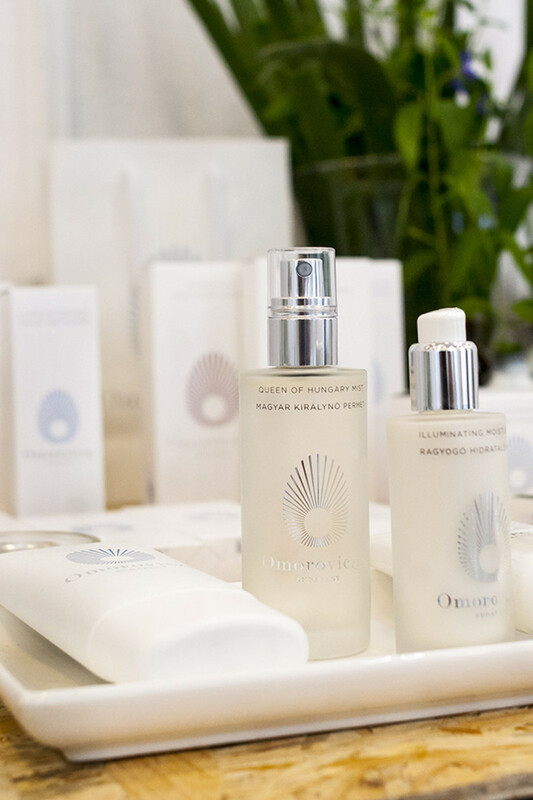 Founded in 2006, the Budapest-based brand marries Hungarian skincare traditions with locally-sourced active ingredients, made even more powerful with the help of a Nobel Prize-winning dermatological laboratory. 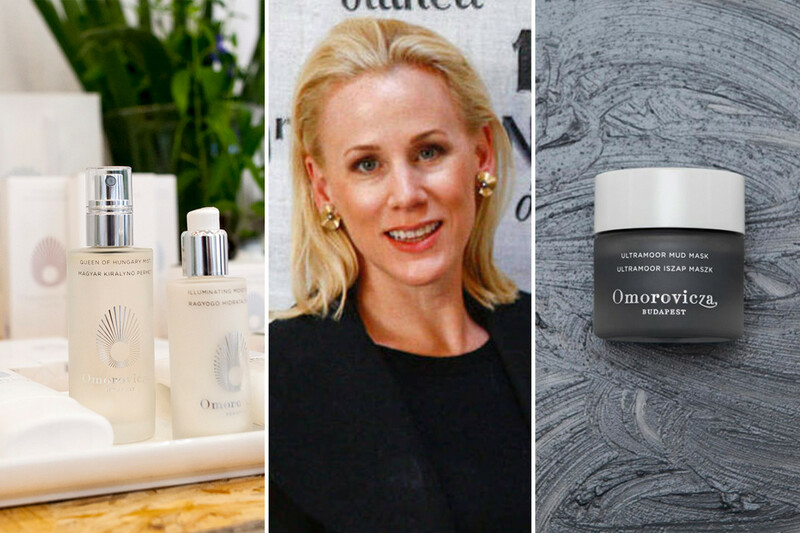 I recently got the chance to meet Omorovicza co-founder Margaret de Heinrich de Omorovicza to find out more. 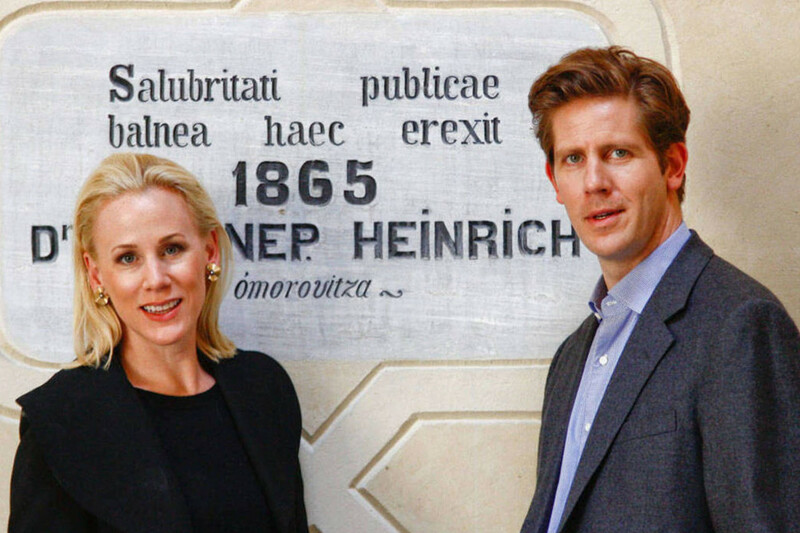 Here&apos;s the fascinating backstory on the brand, and how it incorporates some amazing Hungarian skincare secrets! How did you get your start in the skincare industry? It&apos;s been a real adventure. You might be asking yourself "Why in the world is a woman who has an American accent talking to me about a Hungarian skincare brand?" I have to say, I could not be more surprised myself! 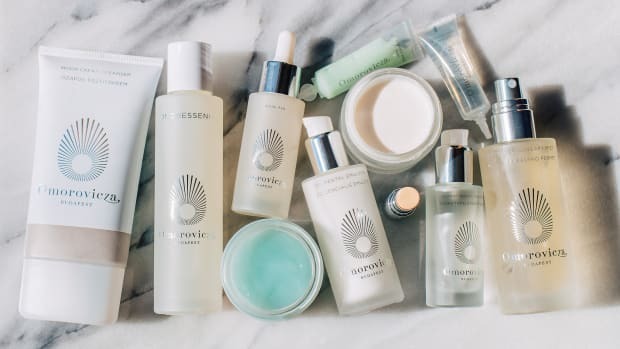 The Omorovicza story for me begins about 15 years ago when I was working in New York City for Time magazine and received a phone call out of the blue. The people on the other end said "Margaret, would you like to become a diplomat and move to Budapest?" In a split second I said yes. But then I said "Where the hell is Budapest?" I had no idea! So I did a quick Google search and I saw a map of the city. The only thing I could read—because the language is quite challenging—was that there is a little island in the Danube that runs through the city. The name of the island is Margaret Island. I took that as a sign! Six months later, I found myself Chief of Staff at the American embassy in Hungary. 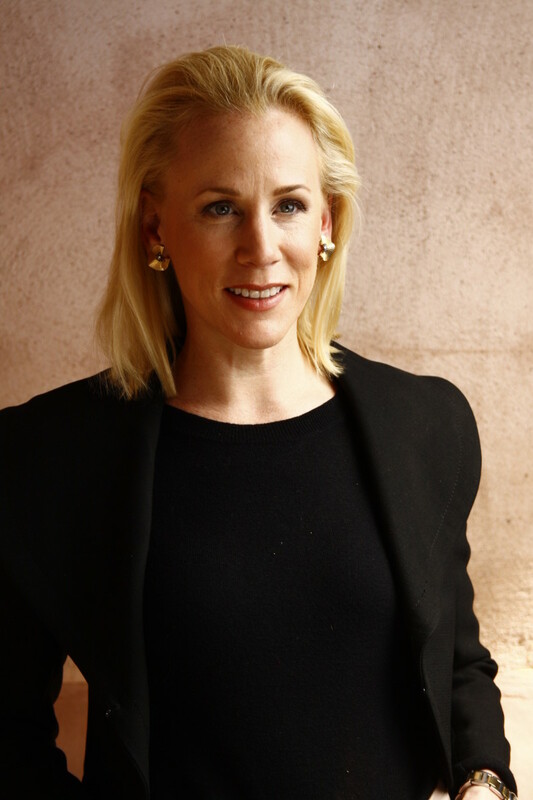 The ambassador is not only a formidable individual, but she is also the most amazing matchmaker you will ever meet in your life. She is SO good at it. She was very kind to introduce me to Stephen, who is now my husband. When Stephen and I first started to get to know each other, he really wanted to illuminate the city for me and share what he felt were the local treasures. At the top of his list—at the top of anyone&apos;s list!—are these wonderful healing waters. I remember my first trip [to the baths] like it was yesterday. You go in, and they are quite impressive. They have these 50-foot-tall ceilings, and because the water is so hot, the steam rises up. Stephen started sharing with me the history of these waters, and how they were discovered 2,000 years ago by the Roman Caesar, Marcus Aurelius. He noticed as his soldiers were marching through the country that if they waded into these bubbling springs, those who were wounded and had damaged skin would heal and regenerate very quickly. That started the bathing. Then you have the Knights Templar in the Middle Ages who built hospices on the sides of these bubbling springs to treat leprosy and other ailments. Then you have the pashas of Budapest during the Ottoman occupation who brought hammam culture to the country. As I&apos;m hearing these stories, and getting out of the waters, I noticed there is a big marble sign that&apos;s engraved. It says, in Latin, "donated to the Hungarians for your health and well-being in 1865 by Johann de Heinrich de Omorovicza." What I didn&apos;t know, because Stephen is very discreet, is that he comes from one of these wonderful old noble families where there is a history of philanthropy and engagement in the community. 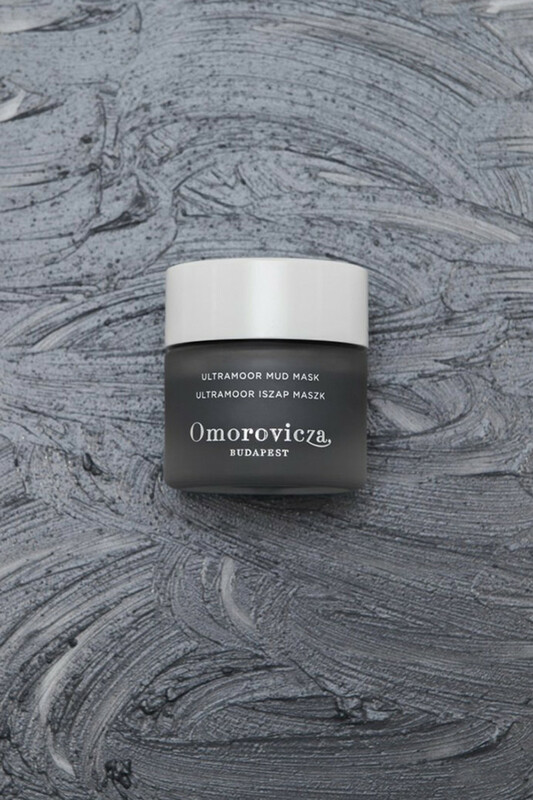 The name Omorovicza is actually the name of a town given to his family hundreds of years ago by the Austro-Hungarian emperor for contributions to the community. 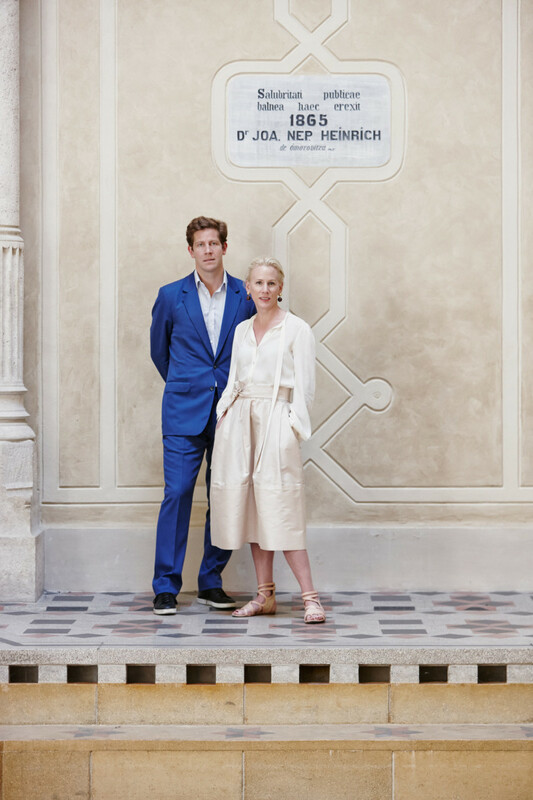 His great-great-great grandfather so believed in the curative powers of these healing waters that he bought the oldest source, and worked with a very famous architect to build what became one of Europe&apos;s first spas. Then they donated it to the Hungarian people. So, absolutely enchanting stories. Stephen&apos;s family was very involved in all of this. And that started the foundation for Omorovicza. When you were visiting the baths, what effect did the water have on your skin? What got me going back to these waters over and over again was the distinct difference they made to my skin. I am someone who suffered from horrible skin from a very early age. Severe acne, rosacea. I was prescribed everything under the sun from 13 onwards—Accutane, Tetracycline, etc.—and it always affected my confidence. Before the healing waters, I had never experienced anything that had such an immediate effect. The only time I had to go, because work was so mad, was before I&apos;d go to the office. It was typically at 7 in the morning when they were opening the door to let people in. However hard I&apos;d try to be number one in line, there was always a line of people snaking around the corner to get in. It was a real smattering of demographics: younger people, older people, men, women. A real microcosm socioeconomically. I&apos;d see the same people every day and I found it curious, because I personally found it a bit expensive to go to these waters. I was on a diplomatic salary and I knew very well what an average Hungarian salary was. I thought, "How are these people affording this every day?" I later found out that the Hungarian government actually writes prescriptions for people [to go]. The idea is that the more certain people take trips to these healing waters, the fewer ailments they have and frankly, the less they&apos;d have to pay for treatments in hospitals. What&apos;s in the water that makes it so special? In my capacity as Chief of Staff I had the great fortune of meeting all the leading innovators and researchers in the medical field. Months later when I was travelling the country, I came across a laboratory of dermatology famous for having discovered vitamin C. I was just making conversation with them, and asked "Why is it that my skin has changed so quickly? What is it about these waters?" They said a couple things. One, minerals have been used for thousands of years to make your skin more elastic and firm. It was actually the Chinese who used zinc to treat severe scarring victims. They also said what I was experiencing in Budapest was because it is a geological curiosity. The earth&apos;s crust is thinner there than in any city in the world. Therefore, the waters are able to rise closer to the surface, the heat penetration from the sun is greater, and there is an unusually high concentration of dozens and dozens of minerals—which are absorbed more effectively in those waters. Because of that, Budapest has more thermal water sources than any city in the world, and is called the "International Spa City." Then, they said "You know what the word spa means, don&apos;t you? It&apos;s an acronym." Spa stands for the Latin phrase "health through water." Sanitas Per Aquam. It was so simple, and it&apos;s something that I had experienced myself. How did you get the idea to incorporate the water into skincare products? It was Stephen&apos;s vision and enthusiasm. I went home and shared with him what I had learned, and he said "Let&apos;s go back to this lab. Let&apos;s commission studies on every thermal water source in Hungary." Which we did, and we established that his family&apos;s source is incredibly rich in these minerals. That got us pretty excited. Stephen was running a biometrics company at the time; I was a diplomat. But this was something we started to get very passionate about. We started doing more and more research. Very soon into this process we encountered a major stumbling block, but the stumbling block ended up being the making of the brand. What was the stumbling block? I&apos;m going to go a little bit into the science. It is accepted wisdom that minerals are great for us. We know it from nutrition; we know it from high school chemistry class; we know it from putting on makeup. But minerals are large compounds. They&apos;re in fact too large to be absorbed into the skin. When you&apos;re in these thermal waters in the presence of heat, with the amount of time your skin is exposed, the minerals do get absorbed and those benefits are realized. But when you get out, of course that water&apos;s going to evaporate. The minerals are left to crystallize on the surface of the skin. It&apos;s the same thing when you go to the beach. You get out of the ocean, you lay on your beach towel and the sun hits you. The water evaporates and you&apos;ve got that crystal salt that you can wipe away. That&apos;s what happens in these mineral waters. So how does one recreate if not enhance a trip to these mineral waters? You can&apos;t just open up a jar and fill it up. What we did was develop and patent a process, with this Nobel Prize-winning laboratory of dermatology, to take mineral-rich water and change it. The source happens to have been in my husband&apos;s family for hundreds of years. We put it through a process of biofermentation, which is the only natural way to achieve cellular transformation. We wrap these transformed minerals around a unique liposome, which serves as a vector to draw them deep into the skin. When we had that, we knew we had something special. If you do us the great privilege of trying our products, you will notice that they work. What&apos;s the difference between your thermal water and the water used by other skincare brands such as Vichy, La Roche-Posay, etc.? If you look at even just the mineral composition of the waters in Hungary, they vary greatly across the country. The ones in Vichy are different. The ones in La Roche-Posay are different. But more importantly, it&apos;s the way we treat those minerals—the way they&apos;re absorbed. We change the minerals&apos; cellular composition so they can penetrate into the deep layers of the skin. We make those minerals more bioavailable. How much thermal water is included in each product? All you need to do is pick up any skincare product, anywhere in the world, and realize that a minimum of 60 percent is comprised of water. But in every product other than Omorovicza&apos;s, that 60 percent water has zero benefits. It&apos;s filler. With Omorovicza, in addition to oligopeptides, vitamin A, etc., 60 percent is a patented anti-aging ingredient. 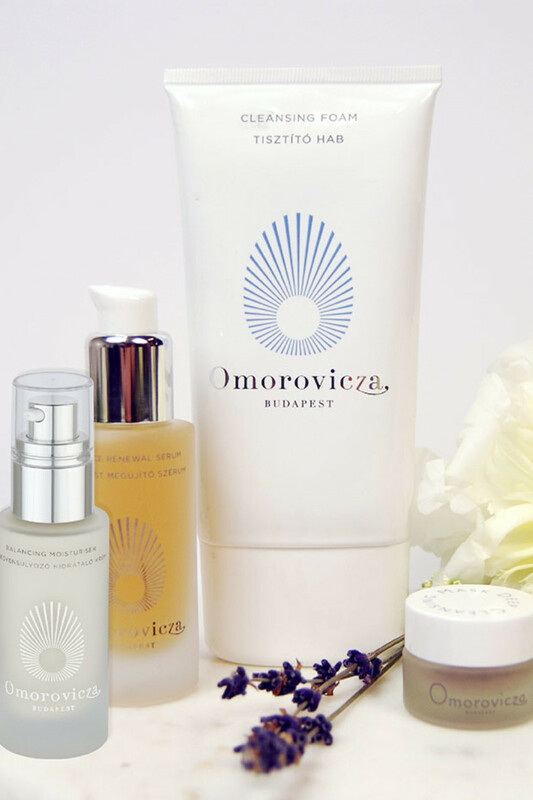 That&apos;s really what is the driving force of Omorovicza, this healing elixir behind it. What&apos;s your position on natural versus synthetic ingredients? We take a very targeted approach to ingredients. The way I look at luxury is that you&apos;re buying a point of view. In fashion, you&apos;re buying someone&apos;s point of view about what the modern woman looks like. In beauty, the point of view is about ingredients. Stephen&apos;s and my point of view is that we want to deliver the most effective and luxurious anti-aging products. With that, there is an expectation. The fact that we have decided to exclude most synthetic ingredients, our customers shouldn&apos;t suffer for that. So if there is a synthetic ingredient that is better than the natural alternative, we will use it. Retinol is an example of that. There&apos;s nothing better. Salicylic acid rocks. I&apos;m certainly not opposed to it, especially for people with acne. So that, to me, is luxury; it&apos;s not so much natural versus unnatural. How is the Hungarian beauty culture different from North America? On the days that I wasn&apos;t going to the waters before work, I was lucky to be able to walk from my apartment to the office. I started to notice on every street corner were spas. But not spas like I had experienced, where you save your money and it&apos;s a bit of a treat to go, an indulgence. I did not have my first facial until I was 19 and I don&apos;t think I went back for another year—it was just not something culturally that you did. But these spas were very accessible. I would go in and have a facial. And the facials were amazing. I would ask them, "Why is it that your technique is so good?" They started telling me about the education of facialists in Hungary. It takes three years to get your licence. The first two years are spent learning about the science of the skin and the effects of hormones, diet, travel, etc. What&apos;s more, when you&apos;re growing up at 12 and 13, you&apos;re not marched off to a dermatologist if you&apos;re someone like me who&apos;s got problem skin. You&apos;re marched off to a facialist. And it&apos;s the facialist who gives you education and treatments for your skin. How often do you think people should have facials? Go in the spring, summer, fall and winter. Ideally with the same person, who knows your skin. Also, it&apos;s not just seasons but let&apos;s say your diet has changed. Or there&apos;s some stress in your life that&apos;s exacerbating certain things. Or you&apos;re pregnant. That&apos;s why you can&apos;t just take it for granted and say "Oh, you should do this." [To know what they need] you do have to get eyes on someone and feel their skin in your hands. 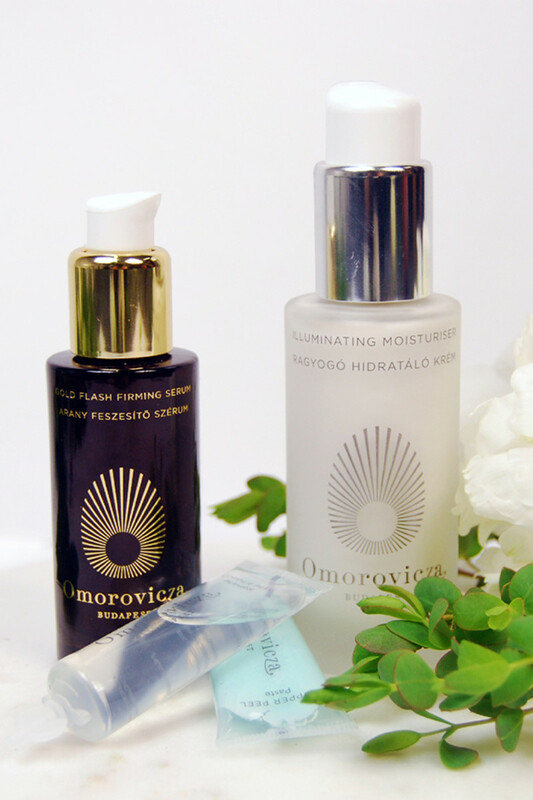 I know Omorovicza also offers facials at select spas around the world. If I recall correctly, your facial involves a lot of massage. The massage technique is our signature. It&apos;s a method that is very Hungarian, that I first experienced in these places on every street corner. It&apos;s because their training is so unique and intense. I have tried to learn that technique for 10 years now and I can&apos;t. It&apos;s really tough. It&apos;s that specialized. I&apos;ve interviewed probably 100 or 200 facialists, and I can tell within two minutes if they&apos;re going to get it or they&apos;re not. You have to have a specific type of hand. What are the benefits of massage for your skin? There are different ways to do it and it&apos;s to stimulate the facial muscles. You actually see the facial muscles jumping. The goal is to plump the skin so that when you walk out, not only do you see an immediate difference because of the products, but you also see an immediate plumping because of the massage. They refer to it as having a personal trainer for your cheekbones! 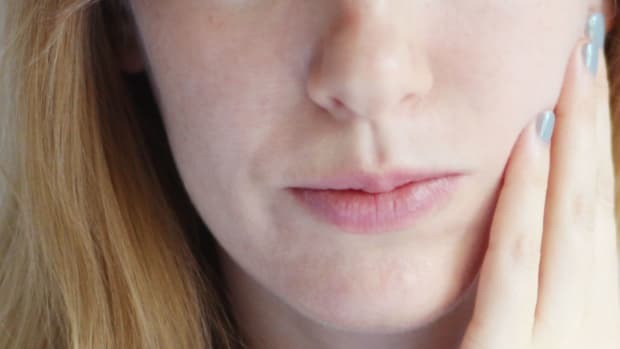 How important is facial massage at home? There are massage techniques that we teach our customers. But based on personal experience, when you&apos;ve got five or 10 minutes in the morning, you&apos;re not necessarily always going to [do it]. What we do try to instil in our clients is [the need for] regular facials. Is double cleansing as big in Hungary as it is in Asia? It&apos;s huge. I SO believe in it. It&apos;s funny because I&apos;ll sit with a client and I&apos;ll ask them about their cleansing process. And even very switched-on characters, they do not invest in cleansing. I&apos;m not saying you have to invest with the best, most expensive products, but their time and energy. Often people who have troubled skin don&apos;t cleanse their skin well. I mean, it&apos;s not as complex as they think. Simplicity is better. I think there&apos;s still a fear of oils and oil cleansing. 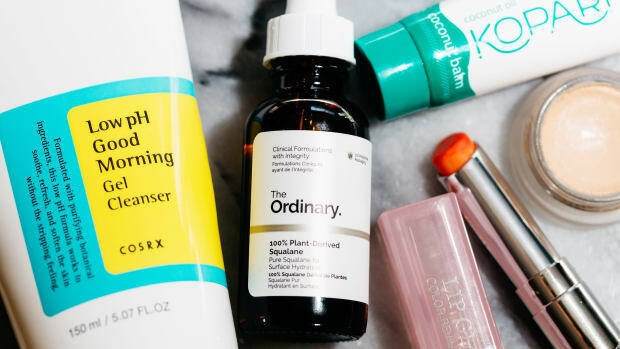 A lot of people who have problem skin, specifically acne, they go "Oh, I can&apos;t use an oil because the oil is going to make my oily skin worse." But oil actually dissolves oil and is one of the best ways to regulate the moisture level of the skin. 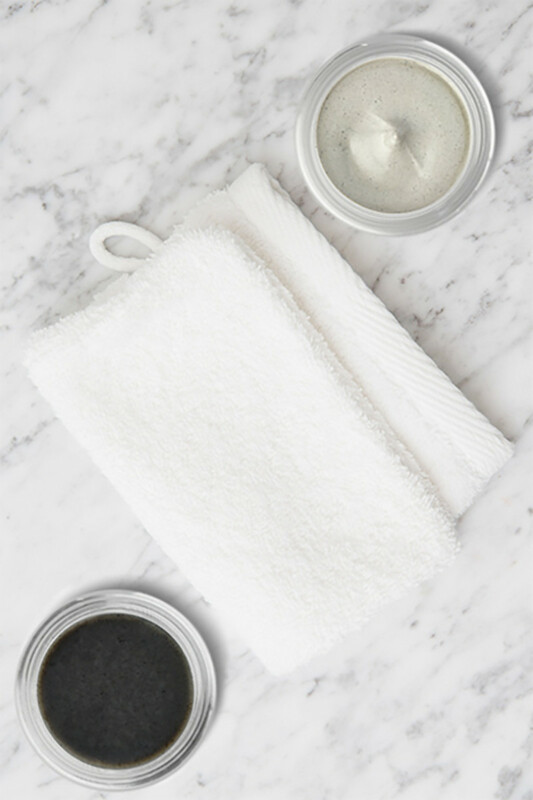 A great introduction is our Thermal Cleansing Balm. It&apos;s our most iconic product. It&apos;s got an oil phase and it&apos;s also got the mud. It is in some ways a double cleanse. It&apos;s difficult to describe what a joy it is to use this product. You put it on your fingertips, massage it on, and it becomes an oil. As you know, with a balm, you can&apos;t just splash it off. You have to take a warm, wet mitt and wipe it off. This is all you need to cleanse your whole face. It even removes Diorshow Waterproof Mascara—the true test! What&apos;s a good cleanser for the morning? Our Moor Cream Cleanser is an amazing product to use in the morning. It does not use sodium lauryl sulfate, but it still foams. 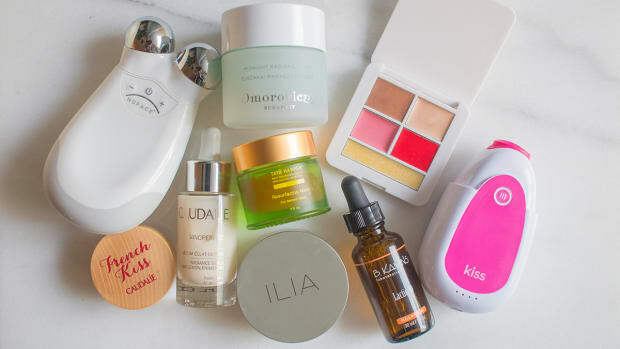 What do you think is the most important skincare step? People always ask me "What is the one thing I can do to make an immediate difference to my skin?" Exfoliating is key because if you think about the life cycle of the skin, it&apos;s 28 days. That means every day, your skin is accumulating dead skin cells. If you do not eliminate them, it&apos;s going to be very difficult for your new skin to shine through. It&apos;s a quick thing to do and makes such a difference. What type of exfoliating do you recommend? It depends on the individual. 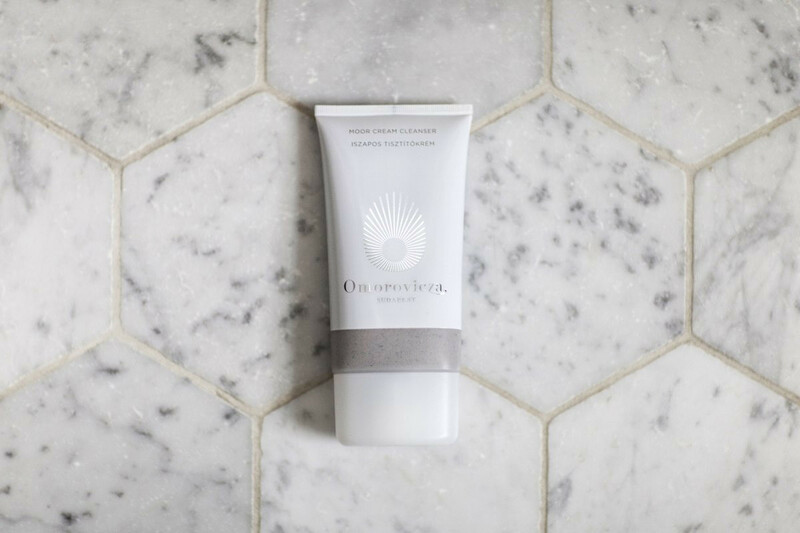 Our Refining Facial Polisher is a fantastic product that I use about twice a week in the shower. It&apos;s an enzymatic and a physical exfoliant. We&apos;ve also got a Gentle Buffing Cleanser, and the Copper Peel, which has lactic acid in it. I would argue that even the mud masks have an exfoliating element to them. Would the cleansing balm and mitt also be exfoliating? Yes, because of the mitt to take it off. The mitt is a terrycloth mitt. We sell the bigger ones and we also have teeny ones that come with the products. We were finding that people were mis-using the balm because they were just taking it off with water. What&apos;s the biggest mistake you think people make with their skin? They over-use products. I believe in targeted care. You can do great things with just a handful of very targeted products. I believe in the power of three. If you can&apos;t get something out of a regimen with three products, there&apos;s something wrong. People can add onto it, but I think three is the magic number. If you are using the right three products, you should see an immediate difference to your skin. What should those three products be? A cleanser, a moisturizer and a treatment. The treatment can be a serum, it can be an eye cream, it can be a mask. That&apos;s where you have to be very specific about your concerns. We all want great skin, and your moisturizer and cleanser are going to give you that. But the treatment is going to change your skin. So it has got to be addressing your specific need. How often should you change up your products? I believe in seasonality in skincare. Why would someone use the same moisturizer in January that they would use in August? I didn&apos;t used to believe that, but when I moved to Hungary, I got a whole new education on beauty and care. The geography of Hungary is in a valley. Therefore, the winters are extreme; the snowbanks are up to your earlobes. In the summer, it&apos;s over 100 degrees. So there are extremes that have fostered this individual care. A moisturizer, especially at the high end, should last you three months. The ideal way to engage with that evolution in your skin condition is to time that with your trip to the facialist. Let them guide you in what products are working for your skin. Besides the thermal water, many of your products contain mud. Is that sourced from Hungary as well? I mentioned Budapest is a geological curiosity, but actually, there are pockets all over Hungary that are geological curiosities. One example is the thermal lake. The largest active thermal lake in the world is just outside Budapest, and it is covered in a pitch-black organic rock. It&apos;s full of magnesium, calcium carbonates and some nutrients that you cannot find anywhere else in the world. The lake actually renews itself naturally every 24 hours. So every 24 hours, this mineral-rich water is going to drain and replenish, which effectively marinates these amazing muds. The mud is medical grade. There is a hospital attached to it, and you&apos;re only allowed to spend 30 minutes in this lake before a bell rings and you&apos;re asked to leave. I&apos;ve done it so many times, and it&apos;s quite an unusual circumstance. You go down this long plank to go into the water. There is a ballet bar and a clock ticking and you bob up and down. Everyone&apos;s bobbing up and down. You get out and I promise you, it&apos;s like you&apos;ve just had a blue pill from George Orwell&apos;s 1984. It makes such a difference because it&apos;s so active. We&apos;re able to harvest the stuff and we put it into our mud range. It&apos;s called Moor mud. It not only detoxifies, but because of the integrity of the source, it improves the tone and texture of your skin. Would a mask be the best way to get the benefits? Our Ultramoor Mud Mask. It&apos;s a classic mud mask, but it&apos;s actually a lifting and firming mask as well. 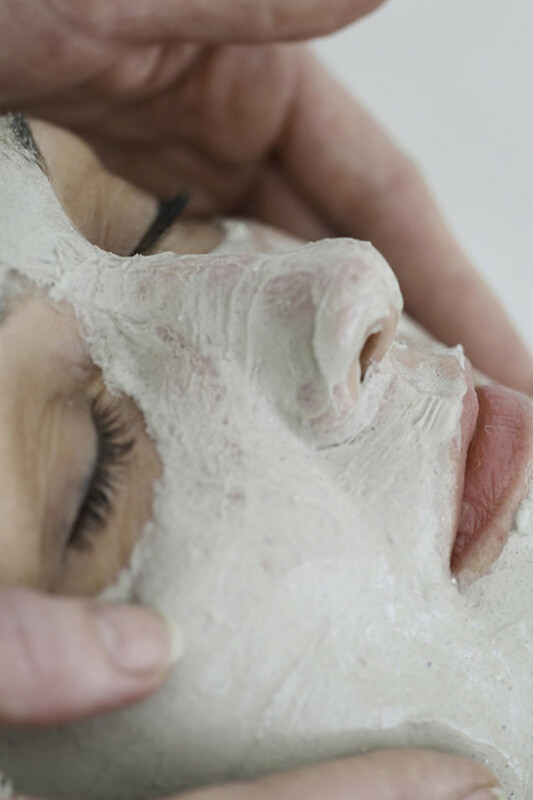 The magnesium calcium carbonate is one of the best things you can have for your face. 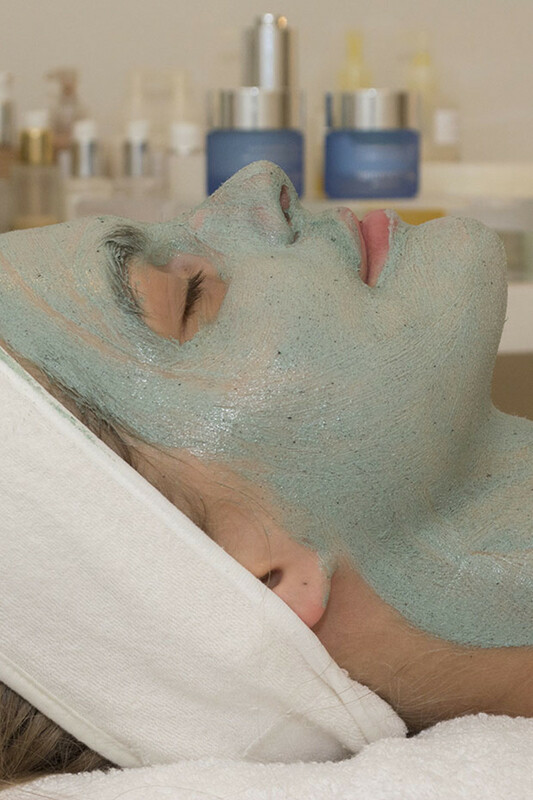 A good mud mask is great to detoxify the skin, which is so important during the summer months. Omorovicza Queen of Hungary Mist. One of your most iconic products is the Queen of Hungary Mist. What&apos;s the story behind that? The Queen of Hungary Mist is our toner. The purpose of a mist is to rebalance the moisture levels of the skin. It&apos;s to help the cleansing process. It&apos;s to set makeup. This does all of that. But before that, it was originally created for the Queen of Hungary many moons ago. [Our mist] is based on a 14th century recipe that she wrote in gold. She used it constantly, believing that it kept her young. She was so beautiful, she was proposed to by a man half her age. I call her the original cougar! What&apos;s your philosophy on anti-aging? Women put too much pressure on themselves. They&apos;re seeking perfection. My philosophy is that perfection is something you always wait for. "When I get the job or when I meet the guy, it will be perfect." It&apos;s kind of disempowering. I really believe in potential. That&apos;s where the magic happens. What I&apos;m after is your potential exceeding expectations. You didn&apos;t know you could look so amazing, but it is you. The perfection, I try to clear away. What are your thoughts on cosmetic interventions? I am not here to preach. Whatever makes you feel great, I&apos;m SO for. I don&apos;t obviously use [injectables]. I believe in microneedling. I&apos;ve seen as good and more sustainable benefits from that. We&apos;re introducing it to our own spas. I think you neglect the innovation at your own peril. If you want to remain relevant and exposed to the latest anti-aging elements, you&apos;ve got to pay attention. 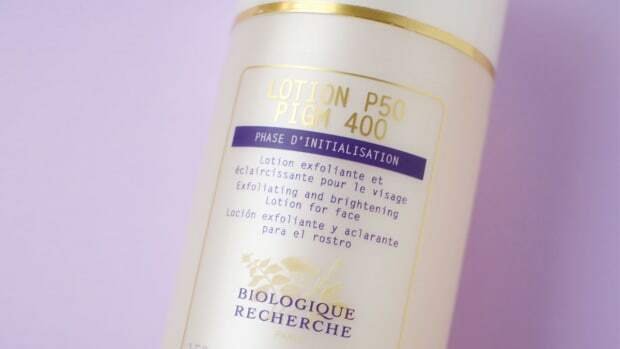 What are your personal favourite products in the line? The Elemental Emulsion is my favourite product ever. 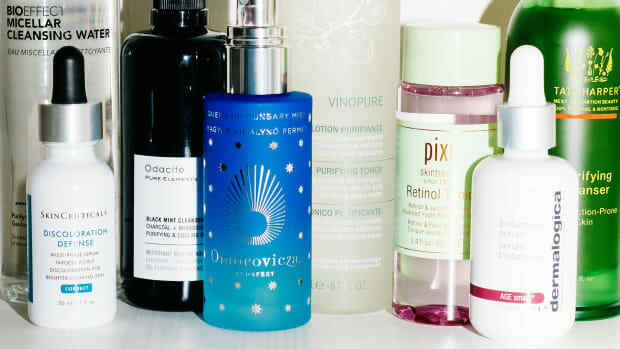 I think anyone who uses Omorovicza should use it. It&apos;s a moisture veil that delivers nutrients without necessarily hydration. For people with oily skin, it&apos;s amazing. I use it with the Gold Serum and Gold Rescue Cream. It&apos;s so transformational. I love it. If I&apos;m on a weekend away, I take the Copper Peel in my carry-on. It&apos;s a lactic acid peel and it has the most amazing effect on the skin. You put it on and in five minutes, it looks like you&apos;ve just had a 90-minute facial. Another product I love is called Glam Glow. It&apos;s a self-tanner. You sleep in it and it unifies your skin tone. You wake up and you look cute! How do you feel about the Hungarian approach to skincare?